Immediately after his graduation from veterinary school at Cornell in 1950, Dr. Stanley Garrison established a new veterinary hospital in a new cinder block addition to his family dairy barn on Goode Street in Burnt Hills. At that time, Saratoga County was a highly productive dairy farming area. Dr. Garrison cared for all farmer's livestock as well as family pets of all kinds. In 1961, a brand new hospital building was built and furnished next to the road on Goode Street. 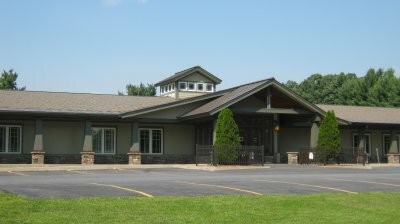 Dr. Garrison incorporated the newest concepts in hospital design such as separate runs with individual drains for infection control, a separate room for sterile surgeries, gas anesthesia with oxygen, and an on-site crematory for deceased pet's remains. 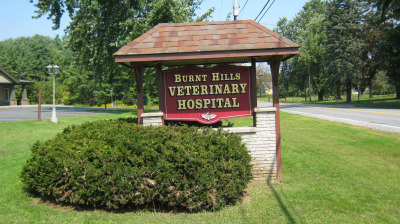 In 1963, Burnt Hills Veterinary Hospital became and accredited member of The American Animal Hospital Association subjecting the staff and facility to rigorous testing of its cleanliness, record keeping, diagnostic and surgical procedures, x-ray techniques, etc. Dr. Garrison continued to own and direct the hospital through the 1960's - early 1980's. In 1982 two new graduates of the N.Y.S. College of Veterinary Medicine at Cornell joined Dr. Garrison as associate veterinarians. Dr. Michael Rach and Dr. Peter Farrell have practiced for their entire careers at the hospital, and became the owners and directors in 1984. As the community has grown and changed from farmland to suburban housing, the hospital has experienced 5 major renovations and additions while continuing to be focused on family pets. The hospital has grown from 2 full time and 1 part time doctor and 7 staff members, to 7 full time and 4 part time doctors and 65 staff members. Our hospital motto is "The Best of Care for the Best of Friends". Our Primary goal has always been to provide the best possible care for each patient, to serve our clients so well that they can enthusiastically and proudly recommend us to their friends and neighbors. Please feel free to contact us with any comments whether constructively critical, or solidly approving. Our phone number and email address are directly below.